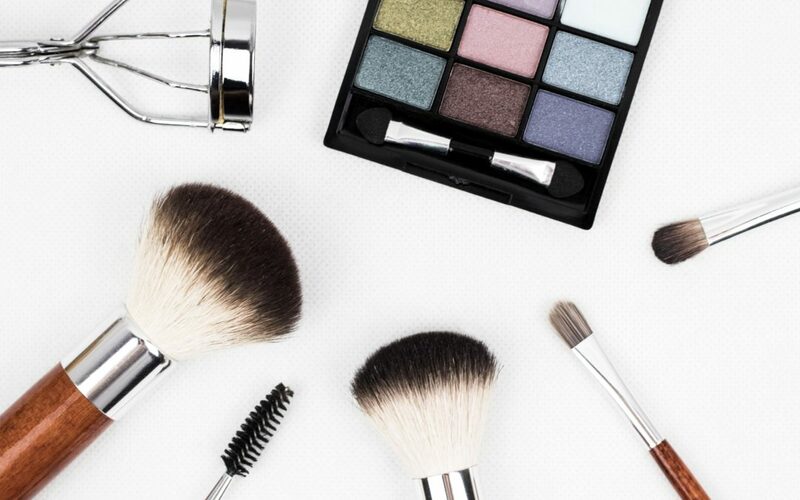 Have you ever considered your make-up to be dangerous? I don’t mean in the sense that you could fall on your mascara and poke your eye out. I’m talking about all the chemicals found in makeup. It’s becoming more and more obvious that exposure to toxins and chemicals could be implicated as at least a partial cause of everything from obesity, to daily fatigue, to cancer. A number of recent studies have shown that we acquire more toxins through skin absorption and inhalation than from the foods we eat. Personal care products, makeup, perfumes, lotions, etc. can get into the skin and pass to the bloodstream within a matter of minutes. This exposes not only your skin to the toxin, but your whole body! Our everyday skin products use more than 80,000 chemicals that have not been tested for long-term effects. Many of the products used are well-known carcinogens (cancer causers), yet we still readily apply them every day. As this short article is not the place to list the most common ones to watch for, I would suggest the following. Look at the lists of chemicals and ingredients in your skin care products as you’d look at additives in your food. If a product contains ingredients you cannot pronounce, such as Imidazolidiny, or that start with numbers like 1,4 Dioxane, or have their own acronym, such as Triethanolamine (TEA), I would avoid it. There are plenty of good, organic, non-chemical laced skin and health care products available. They may be a little more expensive, but the cost of illness from some of these toxins is much greater.